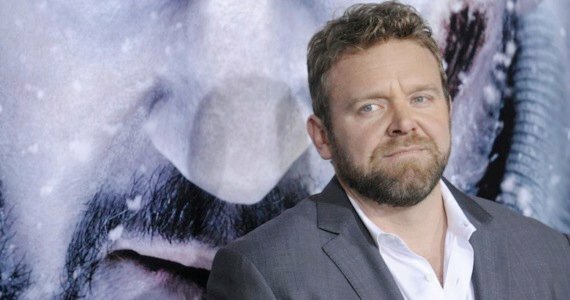 Despite giving us an excellent film with The Grey, Joe Carnahan hasn’t had the easiest time getting his next movie off the ground. First, he was trying to remake Death Wish, but due to some struggles, he ended up walking away from the project. Then, he had big plans for an R-rated spin on Daredevil, which like Death Wish, fell apart. Now, he’s set his sights on Sugar Bandits, an adaptation of the novel Devils in Exile, written by Chuck Hogan. When Neal Maven and a crew of fellow Iraq War veterans begin ripping off Boston-area drug dealers for profit, their lives are quickly put into jeopardy. As Maven’s involvement deepens, two worrisome things happen: he begins to suspect that their leader has a sinister ulterior motive, and he lusts after the leader’s girl—a tough former model with a drug problem. As the rip-off jobs get riskier, Maven and his crew are soon pursued by both a smart federal DEA agent and by a pair of psychopathic Jamaican hit men on a drug lords’ payroll. When everything goes bad—and it goes very bad—Maven embarks on a one-man crusade to right the wrongs in which he unwittingly participated. Not everyone will survive his crusade, and Maven himself may not live to see the final outcome. Hogan’s name may sound familiar to those of you who’ve seen The Town, which Ben Affleck adapted from Hogan’s novel Prince of Thieves. The author also penned The Strain along with Guillermo del Toro. That novel will be turned into a TV series on FX. All things considered, I have high hopes for this one. Hogan’s a great writer and I absolutely loved The Town. Devils in Exile sounds like a gritty, grounded thriller, something that could be right up Joe Carnahan’s alley. Not sure why they renamed it to Sugar Bandits but either way, the project has my attention and hopefully Carnahan can get this one off the ground.